It’s Monday and you know what that means- it’s a new week here at the University of E&E! 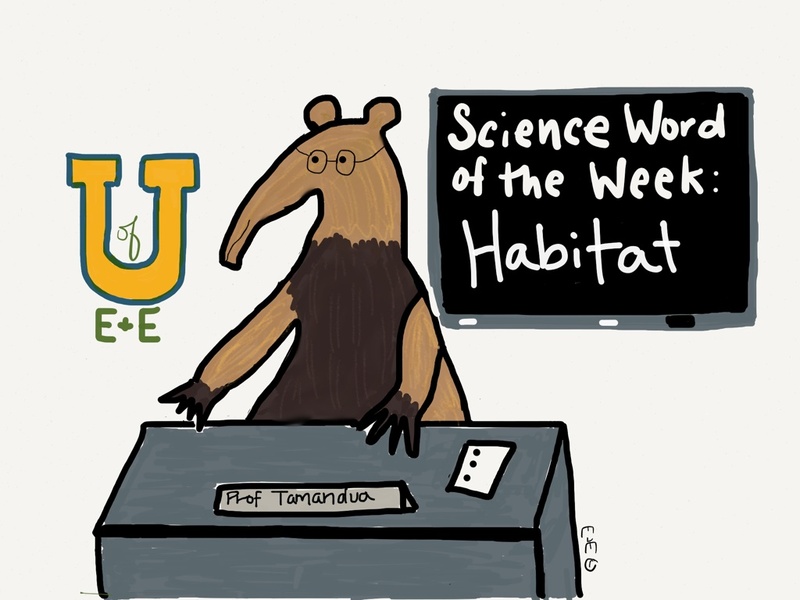 Today we have a great science word of the week for you! This week’s word is Habitat: is the natural home of animal, plant or other organism. 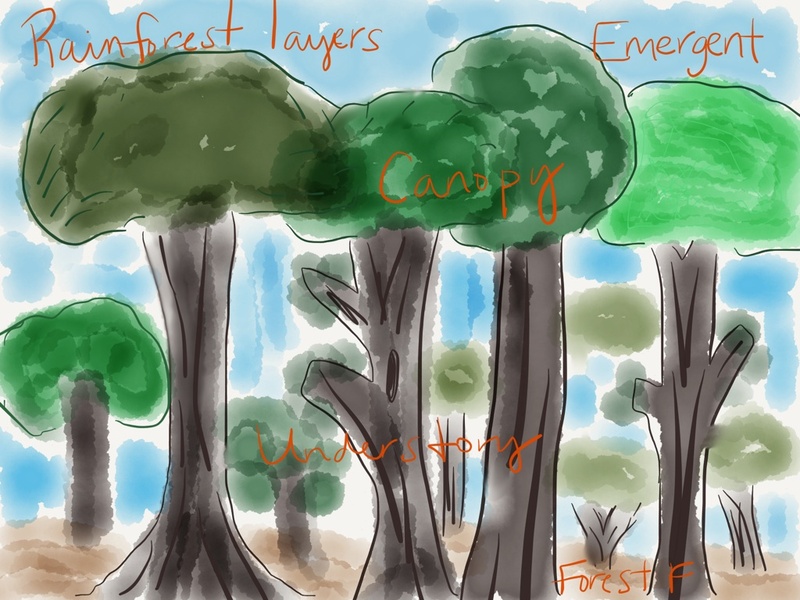 Habitats come in many different sizes, climates and landscapes. Habitats can be small or large! One of my favorite habitats is the rainforest, that’s where we tamanduas live! Every animal and plant has a specific place in its habitat. They fill a need in that area. Do you have a favorite habitat? In my habitat, I have a fish, some more cats, a dog, and some people. And a lot of catnip. I wish I had a real tree.- Crepes. Wow! Your habitat sounds amazing! Did you know big cats like catnip too? My favorite habitat is my house…. Wait. What? That sounds like great habitat!